Check out this interview with Meta from Meta & The Cornerstones during their visit to last.fm! Proclaimed the next ‘African Reggae Voice’, Meta’s unforgettable vocals are complemented by the incomparable sounds of his band The Cornerstones. Meta and The Cornerstones’ music is warm and embodying, immensely addictive, and destined to forever change the dynamics of Reggae music. Through pure musical genius and humble spirits, the band successfully fuses Reggae, Afro-Pop, Hip-Hop, Rock, and Soul music with passionate lyrics in English, French, Wolof and Fulani. 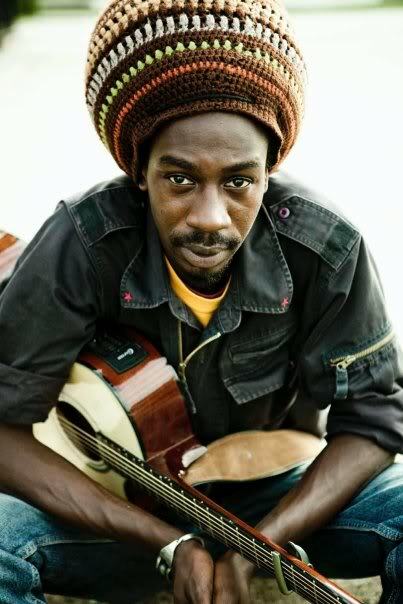 Born in Senegal, West Africa, lead singer of Meta and The Cornerstones, Meta Dia, discovered his love for music and desire to be a musician at a very young age. Listening to Reggae greats Bob Marley and Gregory Isaacs helped nurture his admiration and true appreciation for all types of music. As a self-taught musician, by age 14 he was performing on the street and stages of his hometown Dakar, Senegal. In 2000, Meta formed his first band YALLA SUUREN (God Bless), which was nominated for Best Hip-Hop/Reggae Group by the French Cultural Center the same year. Within two years, Meta had become one of the premier pioneering voices of the Hip-Hop culture in West Africa. After relocating to the United States, Meta immediately began collaborating with artists such as Sean Blackman, and Hip-Hop Ambassador Toni Blackman. Shortly after settling in New York City, he formed his visionary band, Meta and The Cornerstones. With varying ethnicity, religion, and musical influences, Meta & The Cornerstones’ sound is a melting pot rooted in diversity, strength, and unity. Lead singer Meta Dia hails from Senegal; Israeli Guitarist Shahar Mintz; Texas born Daniel Serrato, and Keyboard Player Aya Kato from Japan, join Jamaicans Wayne Fletcher on Drums and Rupert McKenzie on Bass, and combine their creative differences from Africa, the Middle East, the Caribbean, and America, which are clearly expressed in the repertoire of the band’s music. Meta and The Cornerstones channels the roots of Reggae while simultaneously breathing new life into the genre, thus creating what critics have called a “soul-pounding spiritual experience” during their live performances. Inspired by Alpha Blondy and Lucky Dubee, they have shared the stage with Reggae stars Luciano, Steel Pulse, Clinton Fearon, Israel Vibration, and Tanya Stephens amongst others. In 2007, the band was personally invited by Senegalese-born international superstar, Youssou N’Dour to perform at his annual African Ball concert at the Nokia Theater in New York. The following year Meta and The Cornerstones proudly released its first album entitled “Forward Music“. Of this work Clive Chin; Jamaican producer for The Wailers, Dennis Brown, and Lee ‘Scratch’ Perry, notes, “Meta and The Cornerstones have taken us back to the foundation of reggae music”. As he continues to establish new grounds, Meta is now the first African artist to be signed to the iconic record label VP Records, the#1 source for Reggae Music. Through VPAL/VP, Meta and The Cornerstones is set to release their second album ‘Ancient Power’ in the spring of 2013. Recorded at the infamous Tuff Gong Studio in Kingston Jamaica, ‘Ancient Power’ links Africa to Jamaica by paying tribute to the ageless sounds of reggae preserved by the history of its legends. The 15-track work features Reggae legend U-Roy, as well as today’s leading artists Capleton and Damian Marley. With the vision to transcend oceans, borders, and language barriers through positive music, Meta and The Cornerstones never fails to create and convey a sincere, loving, and unifying vibe for every audience blessed to experience it. They truly have something to offer those that listen and that offering is always a message of ‘Peace, Love and Harmony’. So come… Immerse yourself in it. 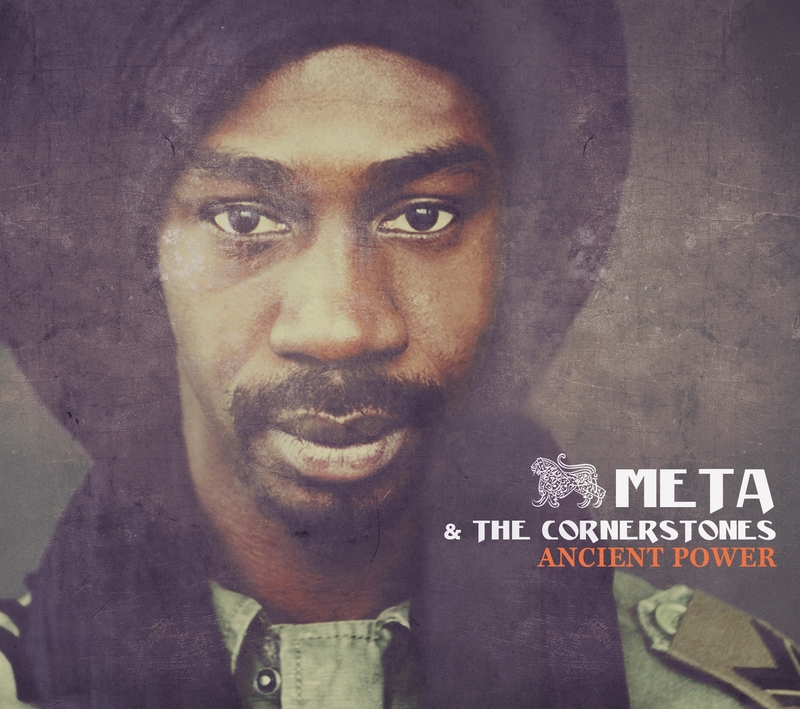 On April 30, Meta and The Cornerstones will release their sophomore album Ancient Power. Lead singer Meta Dia born in Senegal, West Africa, is a self-taught musician who by age 14 was performing on the streets and stages in his hometown of Dakar, Senegal. Now proclaimed the next African Reggae Voice, Meta’s unforgettable vocals are complemented by the incomparable sounds of his band. Fusing Reggae, Afro-Pop, Hip-Hop, Rock, and Soul music with passionate lyrics in English, French, Wolof and Fulani, Meta and The Cornerstones music is warm and embodying, immensely addictive and destined to forever change the dynamics of Reggae music. Recorded in Kingston, Jamaica at the one and only Tuff Gong Studios, Ancient Power is executive produced by Meta Dia and co-produced by Sidney Mills. The album features guest collaborations with reggae vocalist Damian Marley and talented musicians like Dean Fraser, Julian Marley, Mikey Chung, Wayne “C-Sharp” Clarke and Wilburm “Squidly” Cole.